Style and function go hand in hand with our tool clutch! Sleek and elegant. Stay stylish with our fashionable pink clutch decorated with E.Mi logo and get the true E.Mi master look! Always on hand. With its zip fastener and just the right size, our clutch is perfect for carrying your brushes, nail files and other tools with you everywhere you go. Spacious. Featuring 22 pockets, it can easily hold all your favorite brushes and nail files. Sturdy and reliable. We made sure the case is durable and easy to clean. Extremely convenient. Find the brush you need in a matter of seconds and get extra protection for your tools! 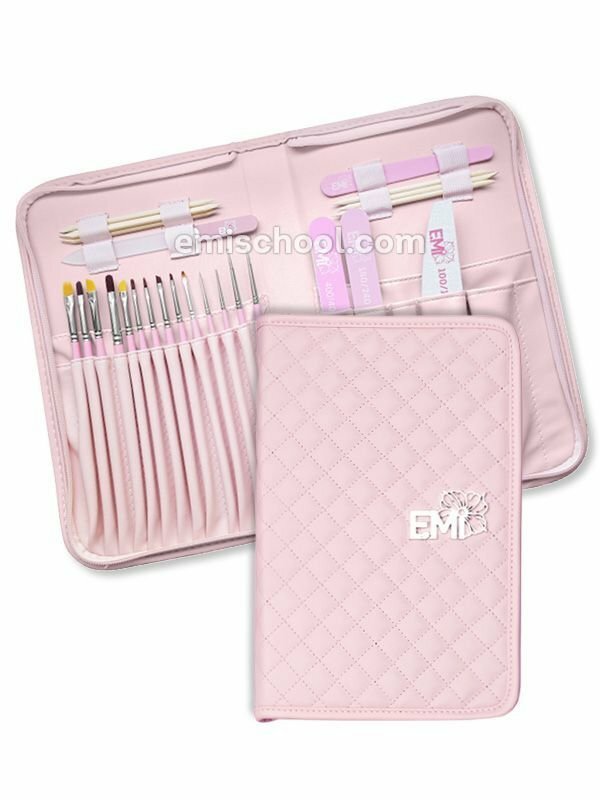 Easy to organize, the clutch also protects the brushes during storage and travel, keeping them safe and ready for use.